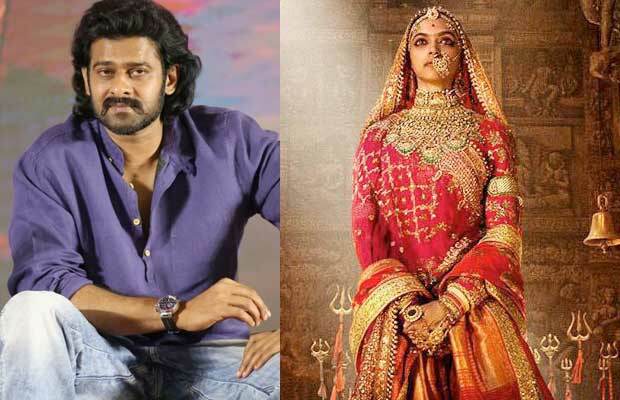 Baahubali Star Prabhas Tried To Be Dragged Into Padmavati Controversy, Here’s What The Actor Did! The All India Kshatriya Mahasabha wanted the Baahubali star Prabhas to speak in their favor in the Padmavati controversy! Many Bollywood celebs, as well as actors from the other industries, have put forth their opinion in the Padmavati controversy. Stars like Sonam Kapoor, Twinkle Khanna, Riteish Deshmukh, Bhumi Pednekar and many others have tweeted in support of the film. Recently, the Baahubali star Prabhas was also tried to be dragged into the controversy. But it seems that the actor wants to steer clear of it. On the other hand, Prabhas has apparently decided not to speak on the matter. If the reports are to believed, then the actor was approached by the All India Kshatriya Mahasabha as they wanted him to speak on their behalf. The group wanted Prabhas to condemn Padmavati and state in front of the people that the film has distorted history. According to the reports of India Today, the Kshatriya Sabha tried its best to get the actor speak on its behalf. But they could not convince him. It seems that Prabhas, who is a Kshatriya himself, does not want to get caught between his community and the industry which he works in. He was, reportedly, adviced by his uncle Krishnam Raju to stay away from the matter, as it is very likely that whatever the actor will say, may backfire on him. Talking about Padmavati, the film has yet not been certified by CBFC. Although it has been cleared by the British board for December 1 release, the makers do not want to release the film anywhere else before India. Previous articleThese Stills From ‘Ishq De Fanniyar’ Are Getting Us Excited For The Song! Next articleRumoured Girlfriend Yuvika Chaudhary’s Adorable Birthday Wish For Prince Narula!